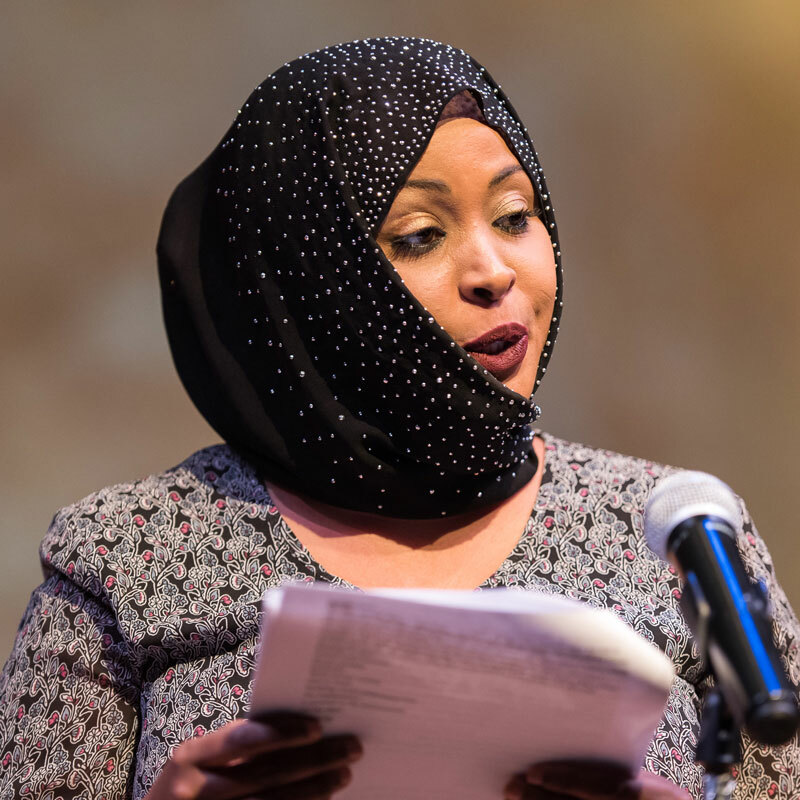 With the help of her doctor and Hennepin County mental health professionals, Fatuma was directed to Vail Place. The first time she visited, however, she felt uncertain about whether she would fit in with the other members of the Clubhouse, whose backgrounds and interests seemed different from her own. A phone call from another Clubhouse member named Caitlin changed everything. Having someone demonstrate that they cared and were concerned made all the difference. Since she’s been at Vail Place, Fatuma has completed a one-week course on the subject of mental illness, which taught her a lot about her challenges. “There is no cure for mental illness, but there is a recovery. You can learn to live with it,” she said, adding that she received a certificate for completing the course. Vail Place was also instrumental in finding Fatuma a job as a part-time receptionist. Previously, she had worked in customer service for approximately 12 years. “I started that job when I was very young. I love people, so I liked it. I worked with all women and they were like a family to me,” she explained. But when Fatuma’s mental health challenges became severe, even that work atmosphere felt isolating. Her co-workers, while knowing she was sick, didn’t fully understand what she was going through and couldn’t offer the support she needed. Today, Fatuma likes her new job and works about 16 hours a week. She is slowly finding that balance between challenging herself, while not pushing herself too much. And every day, she comes to Vail Place. Vail Place also offers opportunities for Clubhouse members to enjoy each other’s company in fun ways, which Fatuma said she really likes. In a variety of ways, Vail Place has changed Fatuma’s life. “I cannot explain how grateful I am,” she said, her voice breaking.